Order your favorite photo wallpapers from category - Photo wallpaper Youth! Here at Scandiwall, we print photo wallpaper of top quality. All images are of razor-sharp resolution, created by professional photographers and exclusive designers. The photo wallpaper is then printed with extreme precision and spectacular color reproduction on quality material. 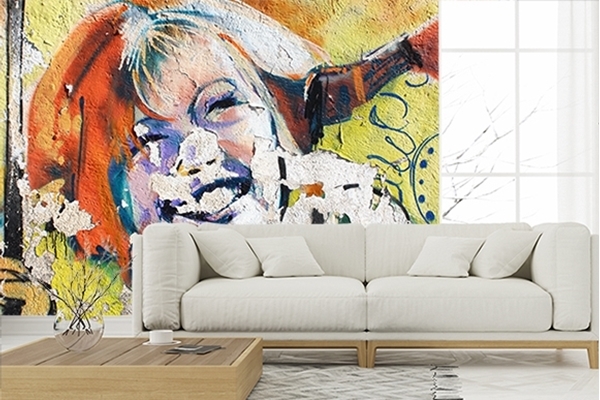 The final product is an incredible wall mural that lifts your interior to a whole new level. At Scandiwall, we can print your own images or patterns as wallpaper. It can be anything from natural imagery to your own graphic design. We are happy to assist with advice and also offer retouching services if desired. Ordering photo wallpaper with your own image is easy - simply upload the image, select crop, and proceed to checkout. It's that simple!